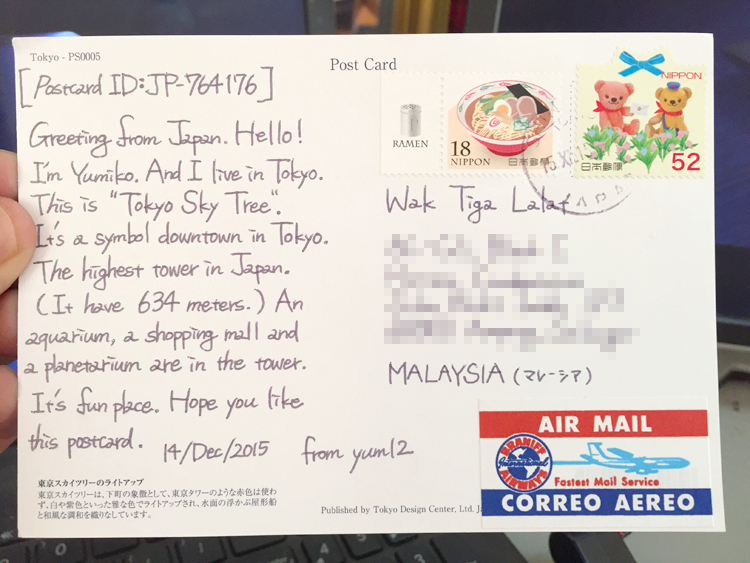 TODAY I received postcard no. 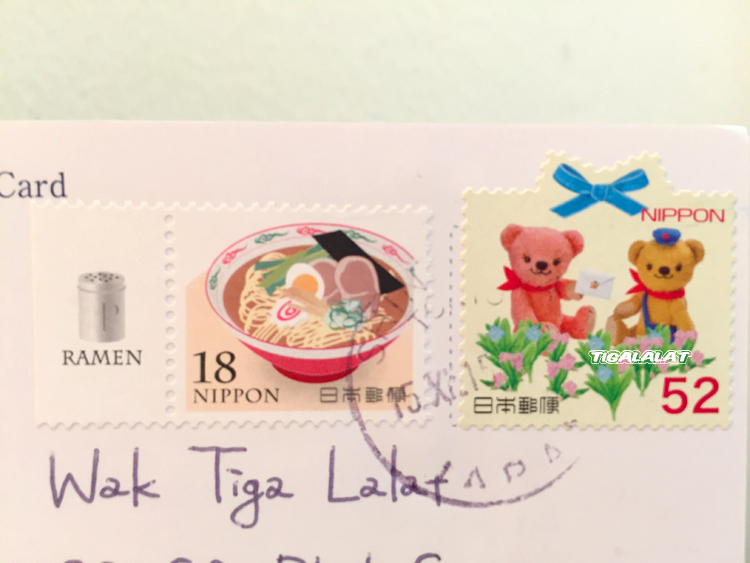 10 with ID: JP-764176 from Yumiko-san of Tokyo, Japan. I'm Yumiko. And I live in Tokyo. 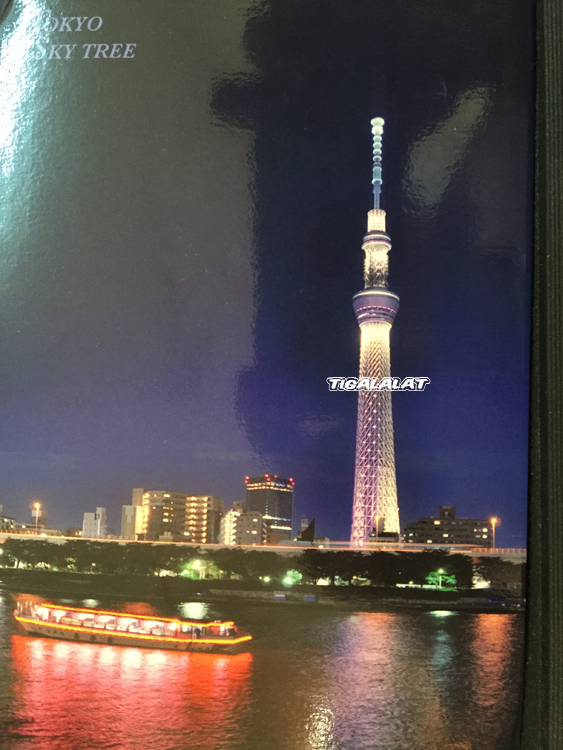 This is "Tokyo Sky Tree". It's a downtown symbol in Tokyo. The highest tower in Japan. a planetarium are in the tower. Hi Yumiko-san, konbanwa., ogenki desu ka? Watashi wa utsukushī Tōkyō tawā no hagaki o okutte kurete arigatō gozaimasu. Actually, I like your beautiful, clean and neat handwriting! Ganbatte kudasai. hahaha mesti dia ingat nama betul Wak Tiga Lalat tu..